Deborah Dunlevy Todd didn’t graduate from LSU. She wasn’t born in Baton Rouge, wasn’t raised a Tiger and has no LSU alumni in her family. But she included LSU in her will. “I came to Baton Rouge, and I fell in love with Baton Rouge,” she said. Since moving to the area in 1995, Todd has been an active arts patron in the community, becoming involved with the Baton Rouge Symphony, LSU Opera, Opera Louisiane and the Louisiana Youth Orchestra. 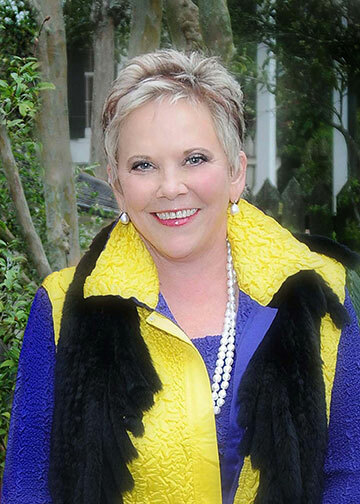 Todd made a bequest—a gift of cash, property or other asset made through a will or living trust—to the LSU Foundation for the benefit of the College of Music & Dramatic Arts. Her gift will support the college’s scholarship program. Bequests may provide for a specific dollar amount in cash, for specific securities or articles of tangible property, or as a percentage of the residual of an estate. They may be given as unrestricted gifts or gifts restricted to a purpose or program.